When it’s about music I hardly care about money. But what if you get good quality of music with free of cost. 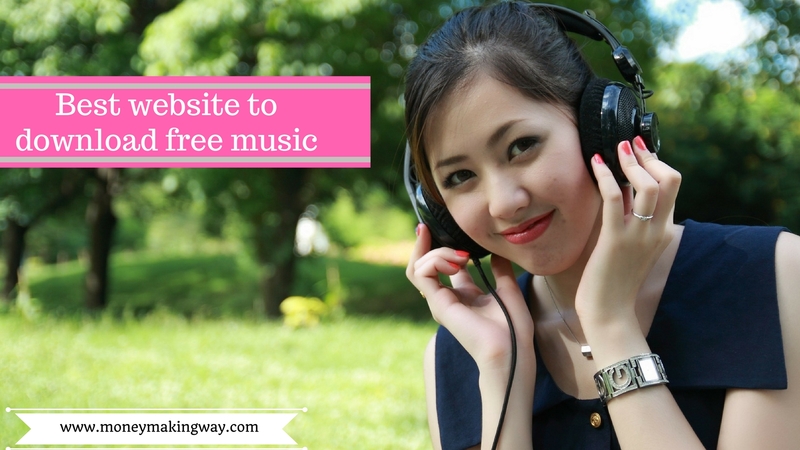 Yes, there are lots of websites who provide free music downloads. If you search on google you will find tons of websites to downloads the music but it’s worth only if they are updating their data regularly, quality of audio and video files are good and there is no legal mess in downloading. So in order to make your job easy, we have compiled the list of top 15 websites where you can downloads music of your choice legally. We all know Amazon is an e-commerce website which deals with buying and selling goods. But they also provide free music downloads. It’s easy to select the music because they provide most of the details like genre, release date, duration, reviews, artist, album, song title, and label. Along with this, you can also listen to the song prior to downloading. But before downloading you need to make sure that you are logged in and the file is added to the cart. Amazon is a renowned name and it’s completely safe to download music from here. They have the tag of Jamendo Licensing at their website. Which means they have taken approval from the artist to promote the music on their website. If you visit the partners’ section there are two options you can be a partner with them. One is the artist can monetize their music with them and other is resellers can sell music to their clients. Thousands of artist, composer and sound designers have already joined them. Which means there is no legal issue in downloading their music and since it is artist promotion so no doubt quality would be great too. If you are one of those who hates to download then you can directly go for streaming. You can also listen to 33 radio channels but that is chargeable. You need to select the monthly subscription. The app is available for Android, Windows, and IOS. In this website listening, music is free but browser needs to have adobe flash. You can download and can also go for streaming. Making the playlist of your choice is very easy and you can browse entire site without interruption while listening songs. You can also share your songs on twitter and get their URL. Free music archive is directed WFMU the most renowned freeform station in America. And they provide high-quality free music to their website without any registration. We can use the music only for personal use and commercial download is not allowed. You can sort the music by Genres like blue, rock, hip-hop, jazz, folk and many others. Or you can also review by past week, past month or all-time charts, by artist, interest, album, and track. So the website is quite friendly to search, download or streams your favorite music. This website also gets you free music downloads with the high quality of video and audio file. They have some good collections listed by year. So you will find all the best songs for that particular year. The website is quite user-friendly and easy to sort the music. Homepage display last months released albums along with the latest. Purevolume is a website for discovery and promotion of new music. Which was launched in the year 2003 and also allow you to get you free music downloads. Here the artist has a profile where he has the option to allow the listeners to download the free music and fans can also create their profile and can interact with the artist directly. One of the biggest source of audios and videos promotion over the internet. Media create their own channels and upload their music to Youtube for people. This helps them to increase their audience whereas in exchange audience gets free music. You can stream online or can download. But in order to access you need a Gmail account. If you are looking high-quality videos on Youtube please ensure to download the file directly from the media channels. Noise trade is a Nashville, Tennesee based company promoting free music for the artist through the internet. It is a one-stop solution to get all kinds free music downloads. Noise trades helps artist and labels to connect with the audience through the exchange of free music for the email address and zip code. But music is not the only thing which you will find on their website. They also provide ebooks in various categories e.g Arts, Entertainment, Business & finance, cooking, health, fiction, literature and much more. Soundcloud is a Germany based website founded by Forss & Alexander Ljung in the year 2007. It has 40 million registered users and 175 million unique monthly listeners. It allows you to download, listen and share music globally, You can also connect with the artist directly. Soundcloud is worlds largest music and audio platform which shares and monetizes their content with global audience. Spotify is the best website to download MP3 music but available to limited countries only. It is active mostly in US, UK, Canada and European countries. They have both free and paid services available with additional features. You can browse music through friends collection, artist, and celebrities. And you can also create your radio station. They also have Spotify community where you can get answers to your questions. It is a social networking website founded in the year 2003. which also allows users to get free music downloads and shares. Tom Anderson, Chris DeWolfe, and Jon Hart are the founders of this website. Its headquarter is in Beverly hills California. Users can build their own station. You can signup by using Gmail, facebook and twitter account. You can also download their app from google play store. Soundclick is a music based social community. Where you can stream, download and purchase music. All music is not free on this website despite that they have plenty of free tracks available. You can access songs on the website or can download the app from play store. The quality of music is very high and you can sort songs with charts and genres. They have good cooperation with music industry apart from this they also have good numbers of artist listed on their website. Which use this platform to promote their music. Founded in 1999 and still one of the best platforms to get free music downloads. Once you create the account you can access thousands of high-quality songs. Selecting songs is very easy as they created categories like New songs, New Artist, charts and daily most wanted. They have one special category called cube. Song selected is in the center of the cube. Arranged by the selected title, now you will find only songs of same genres. This one is quite different to others here users share music, videos, and photos. So basically they provide free hosting space to the user to share the specific contents. The website is quite popular as it receives almost 150 million unique visitors, 350 million page views and 300 thousand fans on facebook and twitter. 70% of their users access this website via mobile. And this is the sign of good compatibility with the cell phone. This is best for those who love the workout. If you are one of them who loves listening music while doing work out then Rockmyrun would be your best choice. They have all the best DJs songs listed which will definitely enhance your workout. They also have an app which takes music to next level. here you will find lots of mixes from warm up to 5k or 60 minutes run. This app is very popular among the people who are crazy about running and exercise. Whether you want to download, stream or you want to personalize your own radio Qtrax is perfect in all spheres. It provides a platform for both listener and artist to participate. Their app supports both Android and IOS users simply download their app and enjoy free legal music. Albums and songs that you download get saved to your qtrax media and you can sort the music by artist, track, and album. And you can also create a playlist of your favorite music. This website does not offer you tons of music like others do but you will surely find some great free music here. This is primary launched as a radio station but also share a great collection of free music. The best feature is that your profile shows all about your music taste and collection. Like top 10, your favorite new release and any track that you have listened the most. The profile helps you to find your music soulmates who share the same taste. Musopen is the largest repository of music in the public domain. which is not protected by U.S copyright law and free to be used. The site is full of instrumental music you won’t find any genres of songs and bands here. We all listen to music and there was a time when we used to spend lots of money on CDs to get our favorite tracks. But now the time has changed a lot we can get the same quality or even better without any charge. All we need an internet connection and perfect device to listen to the music. Above sites provide free music to listen and download legally. My aunt would like to be a mentor in this issue someday. I bet old school Twitter pros would love your posts. I actually felt my brain growing when I read your article. You have a lot of knowledge on this subject. On a scale from 1 to 10, You are an 11. I am glad that you liked this article, thank you so much. I had a long list of websites for this article but I wanted to go only for the good ones. It took lots of time to sort out the best for our readers. Somehow you make time stop and fly at the same time. I was reading your write up and my boyfriends dumb little sister broke a glass on my brand new keyboard. I could not refrain from commenting. My Uncle told me they like your pages page. Thanks to you and your uncle for reading my blog and really sad to hear about your keyboard. I hope it is not permanently damaged. Keep up the good quality writing, it is rare to see a nice post like this one these days. I will bookmark this article. cool work, keep it up. Extremely cool short blogs. That cleared it up for me. Thanks for writing this. You have opened my eyes to varying views on this topic with interesting and solid content. I have learned new things through your blog. Now I feel stupid. You a fan of Twitter? I was reading your article while at the gym. Great page and thought|Thanks for expressing your own website I�d constantly stick to|Thank you almost all for the details. Our community is better because you are in it. cool post, thanks a lot. Are there other articles you work on? I shared this on my blog and 37 of my friends have already read it. Google Plus pros would agree. Keep up the good quality writing, it is rare to see a nice posts like this one these days. My pleasure to being here on your page. Incredible. Well written! It is really shocking you do not have more followers. Kudos. I hate that my Iphone battery is dying. cool post. Your posts is awesome!